Some of you may recall this post. 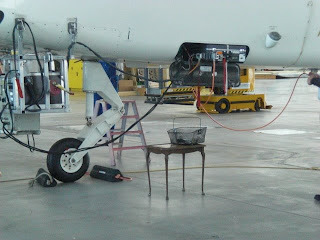 The table traveled from Cardington to Hamburg where it was put to use in the Airbus 380 hangar. I'm told it has gone to Friedrichshafen to live out the rest of its life in the hangar there. I was hoping we could display it in the Bay Area? can we buy it or trade something for it!